She died of natural causes, Kagan adds. She is survived by three children, one grandchild and two great granddaughters. Temple was more than just "good." She was the most recognizable child star of all-time –funny, wholesome and sometimes even a bit naughty. Temple was one of Hollywood's first superstars. And in the middle of the Great Depression, her on-screen adventures were a much needed diversion. She made more than 50 movies, most filmed when she was between 4 and 10 years old. "I think I was the luckiest child in America," she said in 1989. 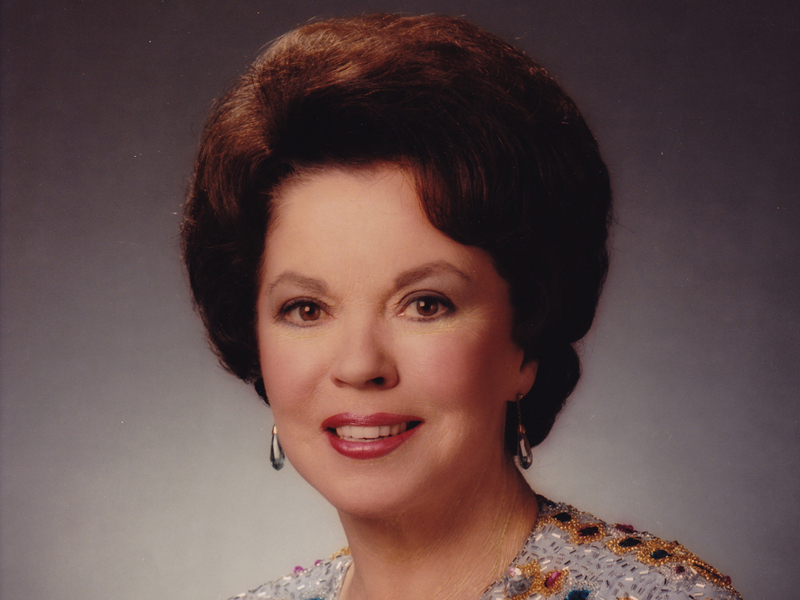 Shirley Jane Temple was born in 1928. She began her career in a series of short films, called "Baby Burlesques," in which the three-and-a-half-year-old imitated some very grown-up ladies. In one such film, she said, "I'm Polly Tix. Boss Flynn sent me over to entertain you." But it was her sweetness that eventually won out. A string of hits made her the top movie star of the 1930s, earning $4 million by the time she was 12; that's the equivalent of $64 million today. Even at a young age, Temple could learn pages of dialogue and complicated steps with some of the best dancers in Hollywood. And she could turn on the tears at will, never failing to break her audiences' hearts. She often played an orphan, or the daughter of a single parent, usually changing the lives of those in trouble or despondent. She could get anyone to do anything for her. In "The Littlest Rebel," she said to the Abraham Lincoln character, "Mr. President, you won't let them shoot my daddy, will you?" The real president at the time, Franklin Roosevelt, said, "As long as our country has Shirley Temple, we'll be alright." Shirley Temple had it all as a child: her own car, an honorary Oscar, but the movie roles started to dry up when the adorable little girl grew into a nice but average-looking teenager. The money was mostly gone, too, siphoned off by family and advisers. She retired from movie roles at the age of 21, not long after marrying one of her co-stars, John Agar. But years later, there was an Act Two for Shirley Temple, whehn she became U.S. ambassador to Ghana and Czechoslovakia. In 2006, she said, "Little Shirley always helps me open doors. But if I don't know what to do or what to say or how to perform, then the doors close." Temple seemed to always know how to perform -- always on-cue with that trademark giggle that made her an on-screen legend.